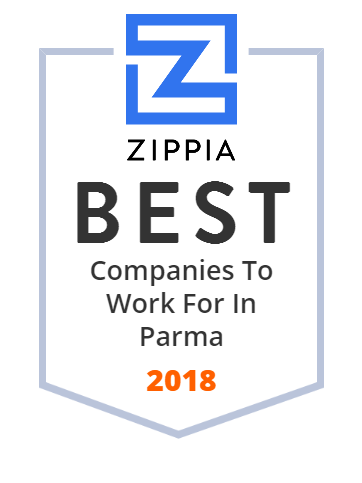 We hand-curated a list of the best companies to work for headquartered in and around Parma, OH using data on salaries, company financial health, and employee diversity. Established in 1913, CPF is one of the oldest wholesale floral products distributors in the USA. The company imports fresh flowers, foliages and plants and distributes them in the US to customers like Retail Florists, Supermarkets, Event Planners, Caterers, Crafters, Fund Raisers, etc. With eight distribution centers, located in Ohio, Pennsylvania, and North Carolina, CPF ensures fast delivery and quality service. CT Logistics is one of the largest global third-party service providers of freight related post audit, pre-audit, Business Intelligence, and transportation management consulting. It assists clients in managing their transportation spend and data so that they could focus on more important things. Whether small firms or Fortune 100 corporations, many clients have already trusted CT Logistics regarding freight bill audit and payment challenges. The company was established in 1923 in Cleveland, OH. Illusions Unlimited is one of the best established hair salons in Ohio. Its highly trained staff of over 25 Certified Hair-Colorists and receptionists offer custom tailored salon services. Clients at Illusions Unlimited receive a balanced hair design personalized just for them. The salon is the #1 Surface Salons in the country and has been awarded Top Ten Salon by Beauty Industry Authorities. Headquarted in Parma, OH, it has additional locations in Broadview Hts. And Strongsville. Parma City School District serves 15 schools in Parma, Parma Heights, and Seven Hills areas. It aims to provide educationally sound options for its students to help them achieve their goals. With 827 teachers in the district, Parma City School District provides numerous opportunities for over 10,000 students - from PreKindergarten through adulthood. Parma Care Center is a Post-Hospital Rehabilitation and Care Facility in Parma, OH, that provides rehabilitation, nursing and medical support to individuals needing post-hospital care and services. It offers an excellent level of physical, medical, emotional and spiritual support in a distinctive environment. Its highly specialized Alzheimer's / Dementia care unit is established to help those suffering from memory loss. Parma Care Center's Interdisciplinary Team work in conjunction with Rehabilitation therapists to ensure the quick recovery of residents.